Our market can be categorised into two principal segments: Estate Agency and Related Services and Surveying and Valuation Services. Your Move, with 175 branches, national coverage and one of the most visited estate agency websites in the UK 2. Your Move has a dedicated careers website listing current vacancies in estate agency at Your Move Jobs. Reeds Rains, a predominantly northern based network of 106 branches and one of the most recognised estate agency brands in the North of England 3. Your Move and Reeds Rains operate a successful franchise model in approximately 50% of the branch networks. Marsh & Parsons, operating out of 28 branches, a leading London premium brand estate agency which brings exposure to the prime and outer Central London property markets. LSLi nine estate agency companies with a combined network of 59 branches (including franchised branches) based in the South East of England; and owned by the holding company LSLi:Intercounty, Frosts, JNP,Goodfellows, Davis Tate, Lauristons, Lawlors, Hawes & Co and Thomas Morris. LSL Land & New Homes, a land and new homes business that provides a complete range of specialist services for house builders, developers and investors of all sizes; and. Homefast, which provides conveyancing panel management and support services to LSL’s Residential Sales and Lettings branches and customers. LSL’s asset management companies are market leaders in the sale of residential properties on behalf of corporate clients. In 2017 they managed 2,269 repossessions utilising a network of up to 1,157 estate agency branches nationwide. LSL Corporate Client Department operates a repossessions asset management business and a property management business for multi-property landlords. St Trinity Asset Management specialises in repossession property sales and a range of other services. Templeton LPA a Law of Property Act fixed charge receiver. LSL’s Financial Services businesses provide services to financial services intermediaries relating to the arrangement of mortgages and noninvestment insurance products. With 856 4 affiliated authorised firms, LSL’s combined appointed representative network is the second largest in the UK 5. PRIMIS Mortgage Network is the trading style of LSL’s mortgage and protection networks that are all authorised and regulated by the FCA, formerly trading as First Complete, Pink Home Loans (Advance Mortgage Funding) and Personal Touch Financial Services. 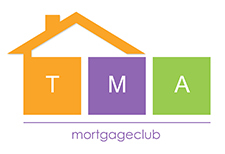 The Mortgage Alliance is a trading style of Advanced Mortgage Funding and distributes mortgages and financial services products to mortgage intermediaries who are directly authorised and regulated by the FCA. Embrace Financial Services is an appointed representative of First Complete and employs financial consultants who deliver services to customers of the Group’s Estate Agencies. Linear Financial Solutions is an appointed representative of Advanced Mortgage Funding and provides financial consultants who are based in the branches of independent estate agents. Mortgages First and RSC New Homes are both appointed representatives of First Complete and specialise in arranging mortgages and non-investment insurance products to customers financing the purchase of new-build properties. Insurance First is an appointed representative of First Complete and specialises in arranging non-investment insurance products for customers purchasing new-build property. First2Protect have been providing insurance services to customers of firms within the LSL Group for over 20 years through various trading styles, and offer competitively priced insurance products for property owners, landlords and tenants. Included within the Financial Services segment is LSL’s investment in Mortgage Gym which is a digital marketplace that matches mortgage borrowers with mortgage lenders, but without taking away real people from the process. LSL owns c35% of the equity in Mortgage Gym. e.surv Chartered Surveyors is one of the country’s largest providers of property risk and residential valuation services 6. With a network of over 600 surveyors, e.surv is the UK’s largest employer of RICS registered surveyors. They use industry-leading technology to provide a range of products and services to a customer base that includes lenders, intermediaries, social housing entities, estate agents, and consumers. In 2018 e.surv was awarded a material contract to supply valuation and surveying services to Lloyds Bank plc. Walker Fraser Steele Chartered Surveyors is one of the longest established Chartered Surveyor brands in Scotland, Walker Fraser Steele was founded in Glasgow in 1884 and became part of e.surv Chartered Surveyors in 2013. The acquisition substantially expanded LSL’s geographic coverage within Scotland and the business now provides surveying and valuation services from locations across Scotland for both local and national clients, including the Home Report, an essential component of the Scottish home buying process. 1 The LSL Estate Agency network is made up of wholly owned and franchised branches. The market position is based on LSL’s own calculations and assessment of branch numbers using publicly available data. 2 Google Analytics January-December 2018. 3 Research Bods independently commissioned research July-September 2018. 4 856 was at 31st December 2018. 5 Which Network – network performance figures for January 2019 showing the combined numbers for PRIMIS (First Complete and Advance Mortgage Funding). 6 The market position is based on LSL’s own calculations and assessment using publicly available data.